Before getting into the meat of my article, I will just do a quick couple notes on my progress. I have settled on a Reanimator list that has been surprisingly strong! I would really just describe this as a unit heavy Feln Control list with an extra fat top-end. It puts very few resources into cheating units into play, but sometimes you get the dream curve of Herald’s Song discarding Black Sky Harbinger and Vara into Grasping at Shadows on 5. I must say that I have fallen in love with Nightmaw, and it has become my new pet card. Does he die to Vanquish a lot? Oh yeah. Does he steal games? Like you wouldn’t believe! Take a look at some of these pictures from in game. In all honesty, Nightmaw does have an interesting niche role. Decks like Reanimator can have difficulty closing out the game against go-wide decks that can infinitely chump your monsters, or you may find yourself in a race against flyers or the top of your opponent’s deck. Nightmaw often speeds up kills by about 2 full turns, which makes a massive difference in these situations. He is particularly great against Chalice. All that being said, I think the correct number in this deck is probably 1 (or 0). I feel like Snowcrush Animist is usually better than the second Nightmaw. One way or another this deck is a blast. It is close to competitive, but it has some issues. Maybe there is a way to splash Fire and fit in Quarry to improve consistency? I certainly have my eyes on whether we get more tools in Set 2 for this archetype. Something like “3SP 1/4 Summon Draw 2 Discard 1” would be a massive upgrade for the deck. There is also the possibility of DWD releasing more reanimation targets. When evaluating these focus on cards with powerful summon abilities rather than just being giant animals. As it stands, this deck has a lot of game against any slower deck because your top-end is so absurd. The aggro match ups are also not terrible, as you have a ton of great blockers, as well as Black Sky Harbinger, which is absolute dynamite since you get to replay it so often. I would say that your biggest issue is really just losing to yourself. None of your match ups are free since so much can go wrong with drawing the wrong half of your deck in the wrong match up, but at the same time I feel that you can beat any deck with the right mix. Now onto the more theoretical half of my article! Playing Reanimator has made me think about engines in Eternal. I recently wrote an article (with VSarius) on the subject of inevitability, but it was positioned as more a reflection on the abstract concept rather than focusing on the specifics. After playing with Reanimator a good deal I was began to realize the topic of “engines” needed some discussion by itself, so let’s dive in! Mark Rosewater (head designer of Magic) defines engine cards as “a card that allows you to exchange one resource for another”. I feel this definition is a touch narrow, and is more crafted for the purpose of brevity and pithiness rather than being all-encompassing (I was unable to find an in-depth article on the topic of “engines”, if anyone is aware of one please pass it along). I find this particularly odd, because almost every card can be seen as an exchange of resources. For example, one of the most iconic engine cards in Magic is Necropotence. “Necro” lets you exchange any amount of life for any number of cards. Anyone experienced with card games will know that any time you get to exchange life for another resource should grab your attention. In practice, this card was totally busted, and is now banned in most formats. Now, Necro is the classic engine card, but what about Sign in Blood? Doesn’t seem like an engine right? My issue is that I don’t understand why (if we are using the definition above). “But Necro lets you trade life for cards all game long!” Yeah, I guess, but what if Necro was just a Sorcery (that would mean “spell” in Eternal terms). Wouldn’t it still be an engine? It seems like it would to me. I could go on about this, but I think I’ve made my point, and I don’t think MaRo wrote the definition with the intention of having it stand up to this level of scrutiny. An engine allows you to generate substantial amounts of one or more resources over the course of the game. This can come as a function through the exchange of one resource for another, a synergistic interaction of two or more cards, or simply the passage of time. Decks that feature an engine often look to leverage this engine in the late game to develop an insurmountable advantage going long, unlike a combo that aims to win the game all at once through some interaction. I’m guessing that you have already thought of a few engines in Eternal given my description, but lets just lay some out for the sake of clarity. These are in no particular order. Siraf – BAE is a one-card-engine. You get a free card every turn, and you can hopefully use these to grind your opponent to dust. Clockroaches – This is a deck built around abusing the echo mechanic in conjugation with particular “draw” cards, which together builds a monstrous roach infestation. Armory – For Armory the entire game revolves around getting the biggest baddest relic weapons possible. It doesn’t fit the definition as cleanly, but given the resource you spend on buffing/protecting weapons, I feel as if it counts. Smugglers Stash also really solidifies this, since it allows you to recycle the cards while further building up an advantage. Chalice – The namesake card fuels an endless stream of card draw that will eventually overpower your opponent (and if that doesn’t do it, the Channels will). This is very much a dedicated engine deck, as it really can’t win without powering up the engine. Vodacombo – If this is not obvious you haven’t been paying attention, although it should be worth noting that many of the cards in the deck are engine-like even without their friends (Mystic shows up in other decks). Reanimator – Since the change to Champion of Cunning this deck feels much less like an all-in-combo deck, and more like a control deck with a powerful top-end (as I described above). Once you hit 8 power you get to start churning out value by casting, recasting, and resurrecting Varas again and again, along with whatever goodies you have hanging out in your void. To me it feels much more like an engine deck than a combo deck. There is a lot more that I don’t really feel like listing. Anything that generates value every turn, or draws you lots of extra cards, can all work. I also don’t want to try to develop a refined list, since many cards could work beyond what we see right now, and I don’t feel like creating a definitive list accomplishes much. First and foremost you need to understand the mechanics of the engine. What are the pieces? How do they fit together? How much damage will they do if left unchecked? For example, Siraf is a one-card engine. All you need is 8 power and you get free units every turn. This means the engine is relatively easy to “assemble” but is also broken up fairly easily, since you can remove Siraf and things grind to a halt. Roaches – on the other extreme – requires a reasonable number of moving parts, meaning it is not a very consistent or reliable engine. That being said, it is also much more difficult to break up given that all the action happens in your hand or via your Crown. The first step to playing effectively either with or against these engines is just understanding what is going on. In the cases of the “one card engine” that is fairly trivial, but the mechanics of many of the others is more complicated. Once you understand what is required to get any of these engines going you need to start understanding the value of the various parts. A deck like Vodacombo does not rely on any one piece to start generating value, but things take a dramatic change when Vodakhan hits the field. Chalice leans very heavily on its core card to just operate as a deck. Roaches has many interchangeable pieces, but Crown really sets everything to a different level. By understanding and respecting the various components to each of these decks so that you can target each effectively you will learn better how to assemble or break up these synergies. This relates back heavily to my piece on answers versus threats, since it is very easy to misevaluate what is going on if you are not thinking through things carefully. In some respects, I feel like I should give a step-by-step guide about how to approach each of these engines, but I feel like this would degenerate into a encyclopedic exploration of every deck in Eternal. You really just need to learn about each of these decks/cards individually. I have really just brought up this topic for the purpose of better understanding engines as you are learning about different decks, and sharing a language/thinking some people may not have been exposed to. I know that I am generally seen in the community as being a DWD cheerleader. You can often see it in my articles where I highlight the wisdom of some choice by DWD, or on Reddit where I defend and support their position on various topics. If you are not a fan of this, you should check out of this article right now since this is going to be more effusive praise than even I tend to give. 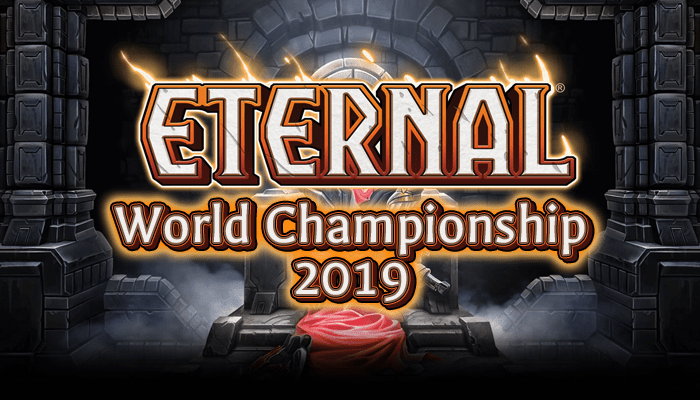 The title of this section says it all, but I will repeat it: the best thing about Eternal is its engines, and is one of the main things that distinguish Eternal from other card games. Pretty strong position, so why do I think that? Let’s start off by talking about the “psychographics” of card games, a concept originally introduced by Mark Rosewater. If you are familiar with the concept you can skip the next paragraph. If you are unfamiliar with this I would encourage you to read his article on the subject, but I will give a quick summary of the topic. The psychographics relate to three types of gamers, and describes what each is looking to get out of a game, and what motivates them to keep playing. The first is Johnny/Jenny, who plays games as a way to express themself. They tend to really enjoy deckbuilding, and tend to be attracted to combos and synergy. A pure Johnny/Jenny would generally rather play their own brew to a losing record rather than net deck. A Timmy/Tammy is a play that plays to experience something. They like big dramatic effects that swing the game. They tend to be much more attracted to decks that include things like ramping into big monsters or spells rather than decks that are just a curve of bland units and removal. Spike is most interested in proving themselves, which most often means they are looking to win. Organized play and net decking resources are built for Spike more than anyone else. Spikes also want games to be skill intensive, as they get satisfaction from navigating complex decision trees. It is possibly to be a mix of these psychographics. For example, my Brewer’s Challenge exercise is the perfect example of a Johnny/Spike split behavior (although I am probably just pure Spike in my heart). There are other psychographics you may have heard of called Melvin and Vorthos, but those relate to aesthetics, so they are not relevant to our discussion here (although Melvin would certainly appreciate the engines that we are discussing). Johnny/Jenny – I LOVE IT! I get to assemble a complicated contraption of my own making? I get to utilize obscure cards to take advantage of powerful synergies? Lots of opportunity for innovative deckbuilding? SIGN ME UP! Timmy/Tammy – There is a deck that builds giant swords to cut down my opponent’s units and eventually beat them to death? I can wipe my opponent’s board while making giant monsters that wins the game in one hit? There is another deck that lets me play oversized, double damage, charging roaches for free? And there is a deck I get to shoot my opponent in the face for a million while drawing cards? I am down. Spike – Surely these strategies are all janky tier 1000 crap. Oh, they are actually good? Are there lots of interaction points for these synergies? Yes? Ok, that is great. And it is skill intensive to assembly and execute? Yeah, that sounds amazing. Of these, the player that is probably the hardest to satisfy is Spike on this front. The power level needs to be just right. Too weak and it is all janky casual garbage that Spike will not touch. Cards that are irrelevant due to low power is not that much of a cost, but Spikes sometimes lament about “wasted” card slots. It is a much bigger problem when the engine is over the top. Too powerful and the games are decided by who has “it” first, or there are not enough ways to break it up and the games are not competitive. For those that play Magic, you have probably thought a lot about Aetherworks Marvel through this article. For those not familiar, it is an engine card that allows you to cheat big monsters into play in exchange for some resources. The issue with the card is that it seems a touch too consistent and too powerful. If the Marvel player gets the nut draw the game will essentially end on turn 4, and there is nothing the opponent can do. Spikes also hate mechanics/cards that explicitly introduce a lot of variance into the game, or represent an overwhelming advantage just by sticking A and B together. A player who is able to activate a Marvel on turn 4 is roughly a coin flip to win the game on the spot, with no interesting decisions to be made all game long. Eternal, on the other hand, have a wide range of engines that have seen play in all variety of deck. The most important element of balancing them seems to be striking the balance of power between the “synergistic” state and the base state. Take a card like Mystic Ascendant. By itself it is a totally respectable card that generates value, although he is a shade over-costed given his board impact. Simple pairings like Marshall Ironthorne or Combrei Emissary are certainly worth the effort, but then things get crazy if Vodakhan enters the picture. Armory is another consistent popular and powerful deck. The base rates of many of the cards in the deck would be described as “acceptable but unexciting”. People are not rushing to play 4/1 Runehammers or 4/4 Daishos, but they are fine. Once they are enabled from buffs like Rakano Artisan or recycled with Smuggler’s Stash they slowly turn into something extremely powerful. I find this much less common than what is typical of Magic, as if feels like there are more “all or nothing” combos. Maybe that is a function of the speed of the format, or the mechanics of interaction points, or it could just be design philosophy of the companies. Often when these decks exist they are actually very popular, but it doesn’t seem to me that WotC prioritizes making these kinds of cards competitive for constructed (outside Planeswalkers). Copy Cat decks from last standard fell into this category to some degree, but it is difficult to credit them given that they were not an intended part of the format, and involved an infinite combo that was the real draw to the deck. A quick note about Hearthstone for comparison (I don’t have enough knowledge of other games to speak on them) – Hearthstone doesn’t really allow engines very well because of the mechanics of the game. There are no relic/attachment style card (Quests do some of this, but that is complicated), and the combat system makes the format much less friendly to “utility” minions. As a result, most decks are either totally fair occasionally with some level of synergy (often tribal), or they employ some combo that allows for massive burst damage. Cards that are engines need to generate a lot of value from the second they hit the board (like Gadgetzan Auctioneer or Archmage Antonidas). Although my knowledge of Hearthstone is not expansive, there are very few decks that could be classified as being built around an “engine”, though Jade Druid qualifies in my opinion. What is most remarkable to me about the engines in Eternal is the diversity of ways that they can be assembled. Clockroachs is a deck built around using a relic and spells to build powerful units in your hand. Armory is a deck built around using units and spells to build powerful weapons in your deck. Vodacombo is built around using different combinations of units plus power to build up card and power advantage. West Wind Herald uses units to abuse the power of some spells in the void. Reanimator uses spells to abuse the power of units in the void. It is pretty easy to design units that positively interact, or have value generating activated abilities, but DWD has gone further to explore using different zones and card types. I suppose this might be partly the function of using the digital space as opposed to Magic, but it is still incredible how different each of these decks look and feel. Another amazing thing about the engines of Eternal is the way in which engines have been built into so many different decks. Control, combo and midrange are fairly obvious, but even Warcry aggro has an engine feel to it. I think I have said elsewhere that Warcry is one of my favorite mechanics in a card game ever. The fact that even an aggressive deck can get a bit of the taste of an engine is pretty amazing, since we usually associate them with just hitting people in the face until they die. Before moving on to my conclusions, I had a thought about engines in the context of the 75 card deck size. 75 is a strange number to arrive at given the benchmark from Magic is 60, and most other card games play with 40 or 60 card minimums. 60 also works perfectly with the 1/3 deck size rule. DWD has mentioned before that 75 has helped improve the variance of the games in a way that improves the quality of gameplay. They have also suggested that the 75-card minimum may be a big part of what makes Eternal still fun after being in beta for over a year. 75-card minimum actually allows them to push the power of engines. The chance of drawing any specific card in your deck is not substantially hurt when going from 60 to 75 cards, but the chance of drawing a specific two 2-card combo is greatly diminished (and 3-card combos are much lower). This adds to the difficulty of building synergistic decks correctly, makes the games feel much less repetitive, and just makes games more fun. As of this writing there have been no cards spoiled for Set 2, but given the density we have seen in Set 1 I would am expect to see more engine cards/combos. It seems like building these engines was one of the goals of design. It is also not like you get this many engines in Set 1 by accident. I sometimes feel like players look at these synergies and speak as is they came into being serendipitously. I would bet very good money that cards like Vodakhan, West Wind Herald, and Crown of Possibilities were tested extensively before they were released for the purpose of getting them just right. Given the volume they are at in Set 1, they are likely to continue on that path in Set 2. As cards are spoiled, keep your eyes peeled for cards that either fit into existing engine decks, or might become the core of a new synergistic strategy. Those of us coming from Magic have been trained to discount these cards given that most are not priced at the level needed to really impress, but I feel the DWD design and development teams have dialed up the power enough so that these cards matter. Looking forward to seeing all these as they arrive! I like the article! I think I am looking for a little more depth, so I will keep poking around, but thanks for pointing me to a good start!